As women academics in the sciences, networking may not seem like the best use of your personal time. While networking is encouraged in other industries, people in academia often perceive networking as too manipulative and commercial and will put others off rather than encourage relationships. This is however an erroneous view. Networking, both formal and informal, is vital for any academic who wants to develop his or her career. As a female myself, I know the how hard the juggle can be! Life, Work, Family and more. Wearing all the hats is exhausting and usually the first thing we drop are the extra activities – like networking. You may have already realised that a successful career in academia is determined by not just performance and productivity, but also through cooperation and networking relationships. For example, receiving a professorship position is no longer about the number of published articles. Cooperative partnerships and the right connections can triple the chances of attaining a professorship and getting published. So, your network needs to work for you and with you. Yet many professional women haven’t put much time into thinking about this and therefore rely on chance most of the time. The ability to create strong relationships is the foundation of any successful career. Managing these internal and external networks is also crucial to growth, competitiveness and profitability. This means the process of networking is no longer an option – but an absolute necessity. Most people miss out on creating valuable connections because they don’t take the time to attend or shy away from networking. Let’s face it, we are good at prioritising everything else so rarely show up anyway, but if we do we are creatures of habit and often find ourselves sticking to our comfort zones, which translates to sticking to people you already know! For some, even the mere thought of walking up to a stranger is enough to make then simply avoid networking altogether. To ensure you maximise opportunities, it’s best to be clear on what your intention is for going in the first place and then set some realistic goals for yourself. Try setting goals to create yourself a target. 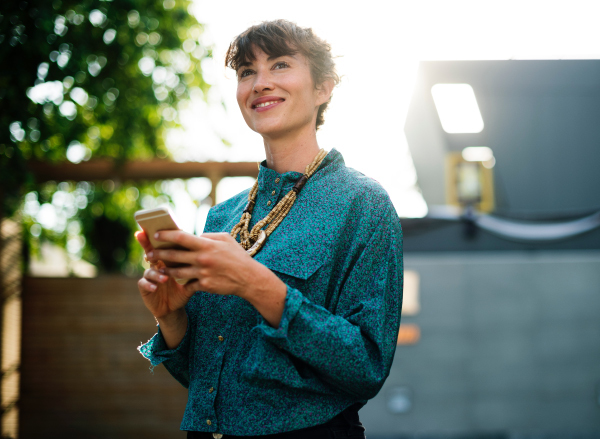 Depending on the time allocated, it would be wise to meet a new person or deepen a connection with an existing contact during breaks (but not someone you sit next to all day back at work!). If you don’t set the goal, you have nothing to be accountable for and no way of evaluating the true success of the event. How is technology/social media having an impact on Face-to-Face networking? Initially, the rise of technology had a huge impact as people tried to replace the way they connect with faster, cheaper alternatives, but like all new things the initial excitement has started to settle. We will always need to look each other in the eye to create higher levels of trust and have deeper conversations. As women, this is a strength for us so make sure you tap into it and get face to face with your network. Some people have mistaken social media as all encompassing – you need a balance. Nothing will ever replace the value and results from face-to face networking to create initial relationships and social media has a place to keep us connected (when done well). It is imperative to understand that any technology is an enabler to a relationship, NOT a relationship itself. It is important to have a networking strategy that encompasses both internal (within your Organisation/ Institution) and external (industry and professional) networking. Then you need to think about how you can align it with either your personal or professional goals. The reasons to network are extremely varied; you may want to share information / experiences, collaborate/ partner or simply learn from each other. Always look for opportunities to promote yourself, connect with others and please don’t leave networking to chance – it’s just too important! Make it a priority in your world and everything else will actually get easier for you. The best news is, it is good for you! It’s long been known that networks in the real world can be good for our health. Add to that the fact that a strategic network, filled with two-way connections can be an amazing source of advice and recommendations that help you in all areas of your life, work and family. 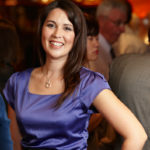 Julia Palmer is a respected networking strategist and head Relatus. Her expertise includes 20 years of practice and research combined with Advanced Certifications in Neuro-linguistics, Emotional Intelligence, Performance Consulting, Training and Assessment. Julia helps people improve their productivity by refining their business relationship strategies. She presents at functions and conferences around the world, has authored two books and appears regularly in the media promoting the growing importance of networking relationships in business today. She is the author of two books, Schmoozing the Globe (2007) and BUZZ (2008). To learn more visit www.relatus.com.au.